Walmart's pre-paid service is no stranger to iPhones, as people regularly bring in their Apple devices for activation on its Straight Talk plan. But now the retailer will be selling the iPhone 5 and iPhone 4 directly to customers for use with the BYOD plan. Starting January 11, the 16GB iPhone 5 will be selling for $649, and the 8GB iPhone 4 for $449 at its stores nationwide as well as online. If that's too much to cough up all at once, there is a monthly installment plan available for $25. It requires a Walmart credit card, but there's no interest charged for the financing. LAS VEGAS, Jan. 8, 2013 /PRNewswire/ — Walmart and Straight Talk Wireless, America's largest and top rated no-contract cell phone provider, today put the power back in the hands of customers with an industry game changing offer. 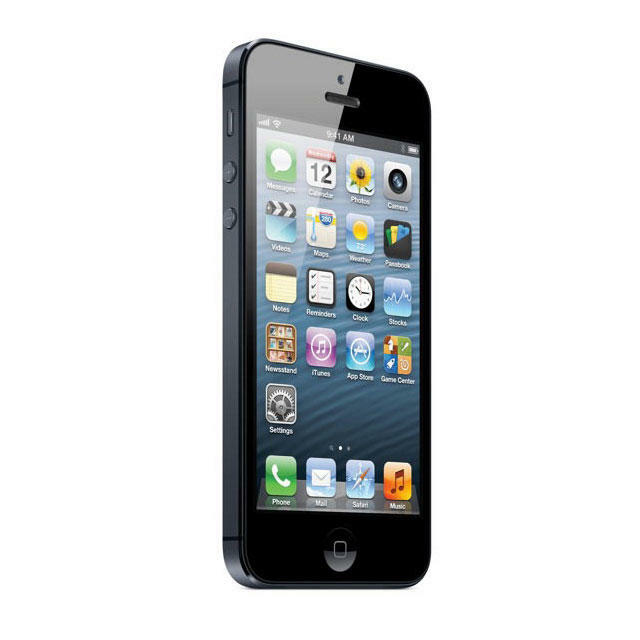 Starting on January 11, 2013 in more than 2,000 Walmart stores and online at Walmart.com, customers now have access to the iPhone 5 and iPhone 4 on Straight Talk's $45 no contract unlimited talk, text and data plan. To make this offer even more affordable, Walmart will be offering customers who purchase the phone in the store, a no interest fixed-monthly payments special financing offer for only $25 a month with a Walmart Credit Card. "We are thrilled to be bringing the remarkable iPhone 5 to customers looking for one of the most advanced smartphones with one of the most affordable No Contract plans ever," said F.J. Pollak , CEO and President, TracFone Wireless. "The advanced iPhone 5 with our unlimited $45 monthly plan and Walmart's $25 special financing offer is a marriage made in heaven – making it the most affordable premium smartphone offer in America. With this exclusive offer the last reason for not purchasing the No Contract Straight Talk plan is gone." "We believe customers shouldn't have to choose between saving money and having the latest technology," said Seong Ohm , senior vice president of Entertainment for Walmart U.S. "Now customers can have the coveted iPhone with unlimited talk, text and data without a contract for $70 a month thanks to our exclusive Straight Talk plan and industry first financing offer." $45 – No Contract Monthly Plan with Unlimited Nationwide Talk, Text, and Data. $60 – No Contract Monthly Plan with Unlimited Nationwide Talk, Text, and Data PLUS Unlimited International Calling to more than 1,000 destinations in Mexico, Canada, India, and in other countries. iPhone 5 is the thinnest and lightest iPhone ever, completely redesigned to feature a stunning new 4-inch Retina display; an Apple-designed A6 chip for blazing fast performance; and ultrafast wireless technology-all while delivering even better battery life. iPhone 5 comes with iOS 6, the world's most advanced mobile operating system with over 200 new features including: the all new Maps app; Facebook integration; Passbook organization and even more Siri features and languages. For more information on iPhone 5, please visit: www.apple.com/iphone.